Maggs Counterculture’s latest selling catalogue celebrates the effect of the transistor radio on the counterculture of the post-war twentieth century. 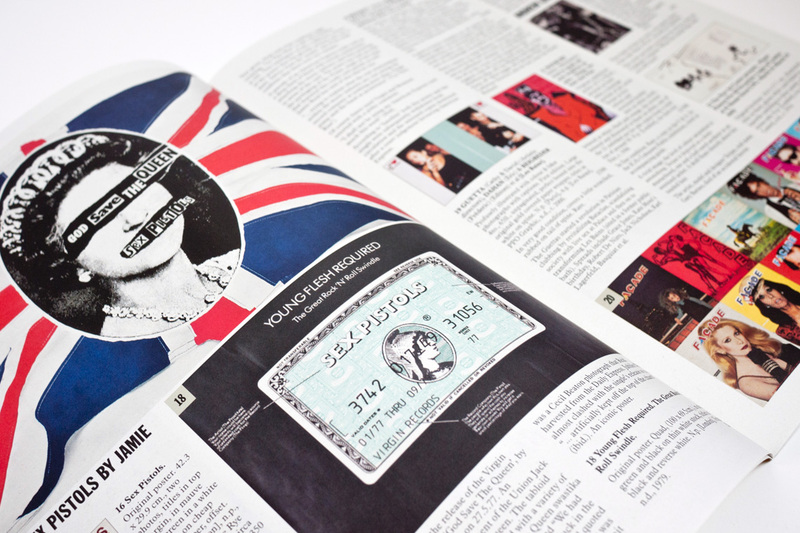 Described as “great” by the experts on style at Monocle Weekly, the catalogue is fully illustrated throughout with the most amazing stuff, including outlaw motorcycle gang colours, a voodoo staff and photographs of William Burroughs’ crumpled bed. 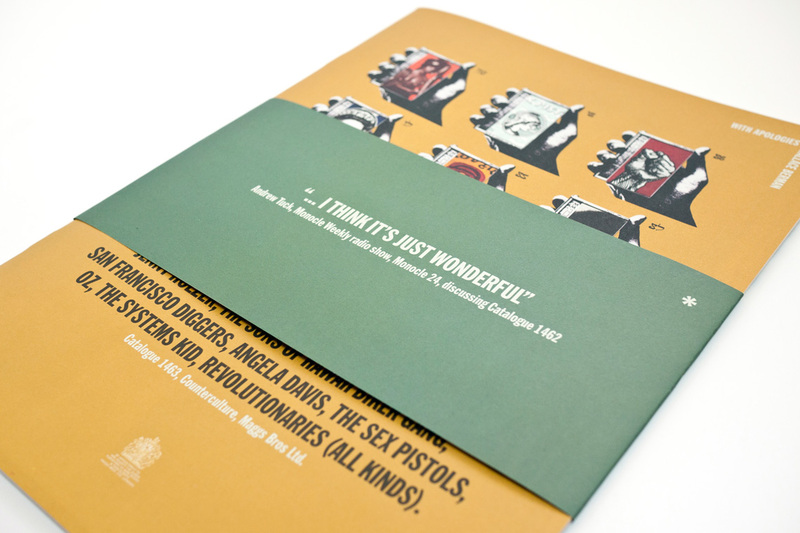 The catalogue is a complex production in Sunday supplement format on matt paper. 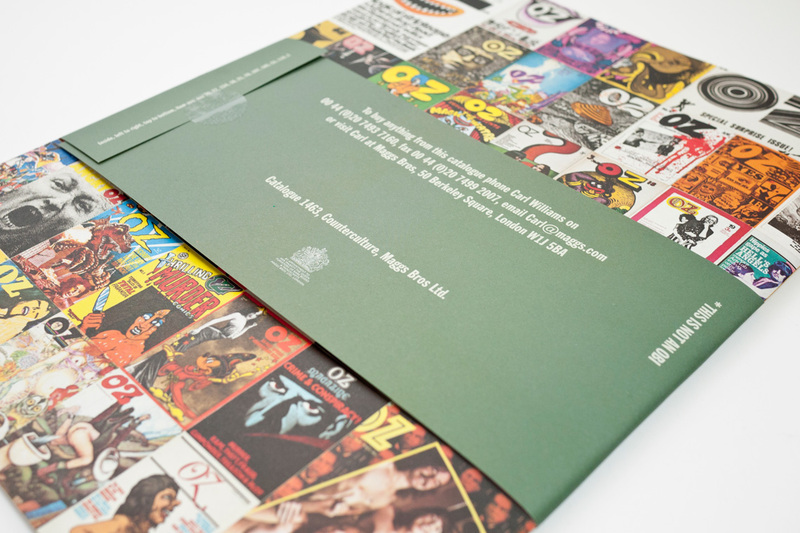 A smaller insert containing an essay is hand-stitched in the centre and a double-sided promotional band (“not an obi”) is wrapped round.